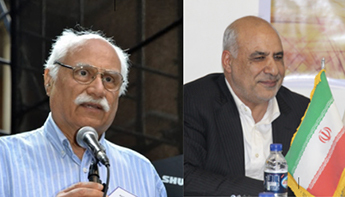 The global co-operative movement has recently lost two leading co-operators: Mohammad Reza Raeesinejad, Managing Director of Central Union for Rural and Agricultural Co-operatives of Iran; and Miguel Cardozo, first President of the Cooperative Confederation of Uruguay (Cudecoop) and Vice President of Co-operatives of the Americas. Mr Raeesinejad was admired as a resilient and committed co-operator, whose generosity, selflessness and vibrant spirit were his foremost qualities. He had worked passionately towards poverty alleviation and employment enhancement of marginalised communities and people living in rural areas. As part of his commitment to co-operatives, he had recently completed the translation of the book on 50 years of International Co-operative Alliance in Asia-Pacific Serving Co-operatives. Under the leadership of Mr Raeesinejad, CURACI reached new heights. Established in 1977 as an apex body, CURACI undertakes the purchase, preparation, or production of essential commodities for farmers and their families. The goods are obtained domestically or imported, and then sold to unions of rural co-operatives or any individual rural co-operative for retail sale. Another leading co-operator, Miguel Cardozo, passed away on 9 January 2018. He dedicated his life to promoting co-operative development in his country and across the region. Mr Cardozo was also vice president of Co-operatives of the Americas, led the Regional Banking Committee and formed the executive committee of the International Association of Co-operative Banks. He guided the creation of the Intercooperative National Board and, in 1984, he took the first steps towards the merger of all the branches and federations in Cudecoop. Committed to his daily work, which he never abandoned, he helped set up the insurance co-op Surco, at a time when the insurance market was demonopolising. His efforts focused on other social and political causes with roots in popular or democratic movements. The passing away of Mohammad Reza Raeesinejad and Miguel Cardozo will be a great loss for everyone who had the pleasure of working with them.